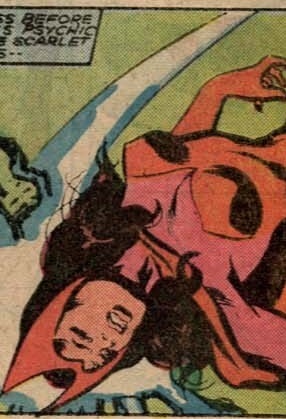 The Scarlet Witch falls to a psychic attack. Nice find! 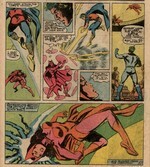 Scarlet Witch is such a classic damsel. Love her old red costume. Love Scarlet Witch. Her legs always look great. Nice KO scene of her in this.